A common cognitive bias is to take an egocentric approach to events. 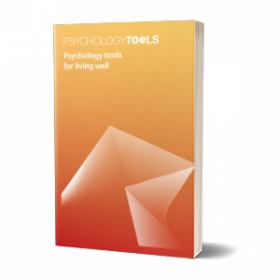 When applied to negative events this can result in an exaggerated sense of responsibility and feelings of guilt or shame. 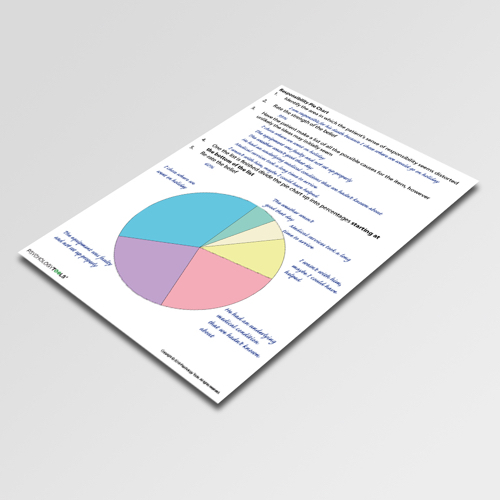 Pie charts are a helpful tool for helping clients to appreciate allocentric contributory factors to an event. 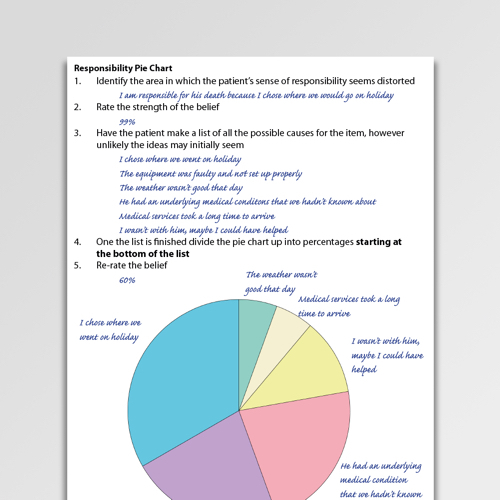 Pie Charts are a helpful cognitive restructuring tool in cognitive behavioral therapy. They are particularly useful for working with problems where a patient has an inflated sense of responsibility. 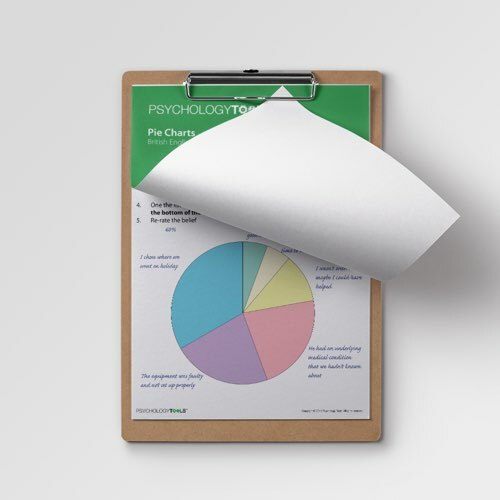 They can help to ‘even-out’ biased ways of thinking by graphically presenting the client’s weighted opinions about contributing factors to a given event.